Winter is the perfect time to shut out the cold, and settle down in front of the fire with a great book. Here's our list of perfect winter sci-fi and fantasy reads! Winter is cold and dark; it is the time when we shut out the freezing winds and tuck ourselves inside in front of a fire with a steaming cup of tea; it is also the ‘festive season’ of family and celebration, of snowmen and shiny wrapping paper, of gaudy Christmas trees and fluffy jumpers we would never wear at any other time; lights are strung up in the streets; jolly music plays endlessly in shops and on the radio, and everyone feels obligated to be cheerful, although not necessarily happy. However, in many of the stories we tell, such as those that follow, winter is a whole different beast. In these stories winter is just cold and dark. It is oppressive and something to be feared. A story of snow and frost immediately takes on a mythic quality, as though recalling a time when the winter was dangerous and unknowable, a time far in the past when we weren’t so protected from the outside and incomprehensible elemental forces could destroy us at any time. This is the power of the winter setting as it activates some sort of Jungian collective unconscious memory when to go out into the night meant leaving behind the vestiges of civilization and returning to nature. The first, most obvious expectation is not thematic but rather what to expect of the tone and world-building. A story set amongst a culture or society that lives in dark, cold wintery region of the world is usually characterised by a brutal and harsh existence. The characters are rough and verging on barbaric, and who would be at home in our own Dark Ages alongside cultures like the Vikings. The clans of J.V. 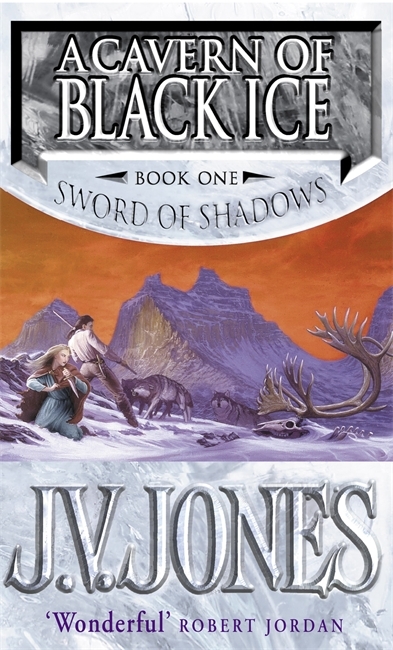 Jones' A Cavern of Black Ice and Brian Ruckley's Winterbirth live in a grim and realistic world where life is hard and cheap. The setting of winter here is necessary to create this tone because if they lived in a bright, cheery world where the sun always shines and they frolic in fields of flowers, it wouldn't have quite the same impact. A harsh environment necessitates and reflects the conflict over resources and justifies the violent nature of the characters and cultures. 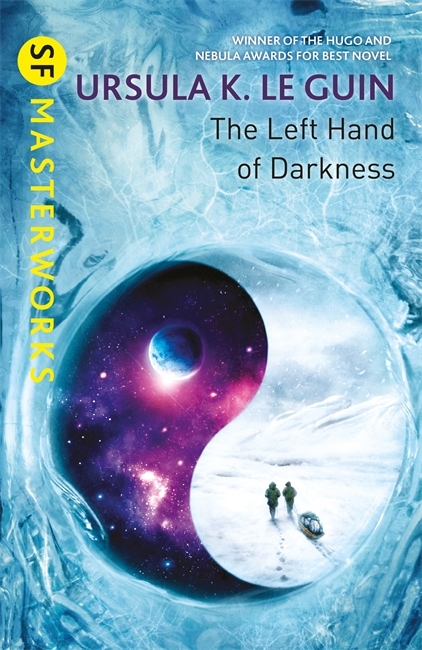 There are the stories where there is a clear division between civilization and nature; the characters enter the winter world to show a return to nature and the mythic such as in Ursula Le Guin’s Left Hand of Darkness, Philip Pullman’s Northern Lights or Neil Gaiman’s American Gods. In these stories the characters of Genly Ai, Lyra and Shadow take the heroes’ journey as they evolve from the comfortable state of ignorance of the civilized world to one of knowledge. The 'evil' they confront by the end can only be overcome after they have passed through the crucible of winter. These are stories of growth and learning with winter acting as the tangible representation of the adversity they face. A world shrouded in snow where it is always winter and never Christmas summer is a world out of balance, caused by the malign influence of evil that needs to be defeated. The classic example of this is C.S. Lewis' The Lion, the Witch and the Wardrobe where the titular witch Queen Jadis has banished hope and created a land of endless winter; an unnatural state, which can only be ended by the four child heroes of the story. Things aren't as they should be, with both the people of Narnia and the land itself dominated and oppressed by Jadis. Once she has been defeated (apologies for the spoiler) everything returns to its natural state and balance is restored. Another example of the forces of chaos trying to destroy the world is in Wiliam Horwood's Winter where the End of Days is here and the universe is ending represented by a world ravaged by the worst winter storms ever experienced. Storms rage as the worst winter in living memory ravages the human and Hydden worlds. The prophesied End of Days is here and the universe is dying, yet only a few are even aware of the forces at work. Jack and Katherine must help their friend Bedwyn Stort halt this chaos by locating the last gem of Winter, something only he can do. Then it must be returned to the Earth's unwilling guardian, their daughter Judith. She will need it to try and reignite the fires of the universe. The climactic final volume in the Hyddenworld sequence, a lyrical epic fantasy adventure of bravery, loss and a quest for the impossible. Available now in Paperback and as an Ebook. Lastly, and for me, one of my favourite uses of winter in novels, is to create a sense of epic scale and long history, of vast timescales and the end of eras. Winter is coming and it brings with it change. Endings and beginnings. From the simple ending of a long life, such as the old warriors Nogusta, Kebra and Bison in David Gemmell's Winter Warriors, to the ending of the world beset by a new Ice Age, such as Mark Charan Newton's Legends of the Red Sun series, winter represents the last days where the future is uncertain. In these stories, the oncoming winter is not unnatural and is unstoppable, it is a part of life, like death, that the characters' actions can only ever be palliative. It is how they deal with this that is the story. An ice age strikes a chain of islands, and thousands come to seek sanctuary at the gates of Villjamur. It’s a city of ancient spires and bridges, a place where banshees wail and cultists use forgotten technology. And beyond the now besieged walls, the dead have been seen walking across the tundra. Knights of Villjamur first volume of the fast paced fantasy series, Legends of the Red Sun. Prepare to begin a journey into a world of dark ritual, corruption and adventure. The winter of the world is its end. WHAT ARE YOUR FAVOURITE BOOKS THAT FEATURE A WINTER SETTING? TELL US IN THE COMMENTS BELOW.